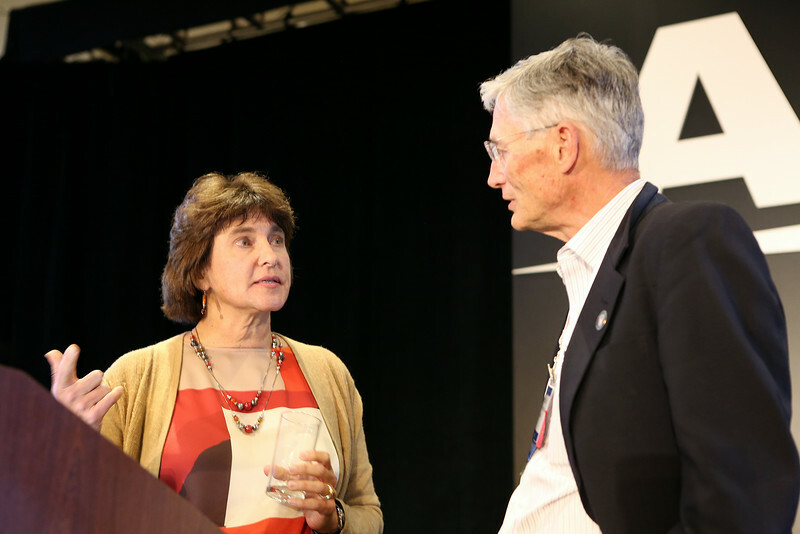 Margaret Meixner (Space Telescope Science Institute) gave Tuesday's final plenary lecture, "The Life Cycle of Dust in the Magellanic Clouds: Insights from Spitzer and Herschel." AAS Vice-President Ed Churchwell (University of Wisconsin) introduced her. AAS photo © 2014 Joson Images.